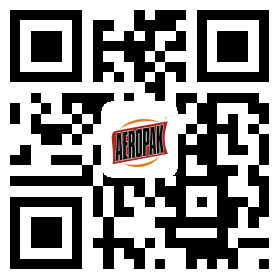 AEROPAK Grease Spray is composed of synthetic base oils and lithium complex thickeners that provide the film strength shear resistance and mechanical stability required for good grease lubrication. 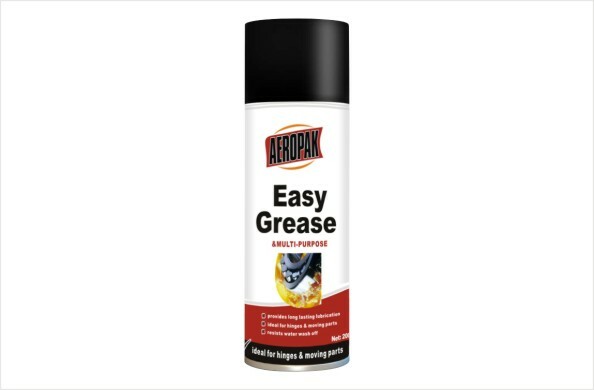 The convenient and efficient aerosol dispenses a controlled application of penetrating spray which forms a translucent, long lasting barrier of protective grease. The barrier extends the life of equipment while it lubricates and loosens rust and dirt. It outlasts petroleum based greases and oils. AEROPAK Grease Spray is recommended for use in heavy and light duty applications found in manufacturing plants, automotive applications, agricultural equipment and construction equipment. These include, but are not limited to, roller bearings, plain bearings, thrust bearings, gears, electric motors, presses, winches, bushings, wheel bearings, chassis lubrication, universal joints, ball joints, tie-rod ends, and steering knuckles. b) Suitable for mechanical and automotive chains, gears etc.